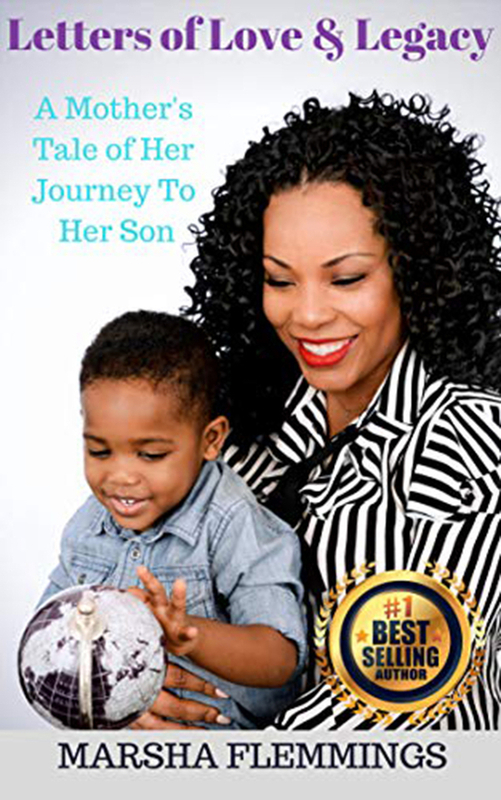 Marsha Flemmings Launches New Book "Letters of Love and Legacy: A Mother's Tale of Her Journey to Her Son"
MIAMI, FL, February 11, 2019 /24-7PressRelease/ -- In her first book, Letters of Love & Legacy: A Mother's Tale of Her Journey To Her Son, author Marsha Flemmings uses her journey, the successes and missteps, to help reinforce to her readers that they are able to design and create their legacy. She invites readers to journal their own life experiences and share with their children, nieces, nephews and all little loved ones as she consistently reflects on how future generations can learn from the experiences of those before them. Sharing some of her most personal and impactful life experiences in letters that she started to pen while pregnant with her son, she guides her readers into a greater awareness of how to use their setbacks and mistakes not only for their learning but also for the enrichment of others. The book constantly encourages readers not to shy away from such experiences as most of life's value is found in circumstances that call us to a better version of our selves. In her first book, Letters of Love & Legacy: A Mother's Tale of Her Journey To Her Son, author Marsha Flemmings uses her journey, the successes and missteps, to help reinforce to her readers that they are able to design and create their legacy. She invites readers to journal their own life experiences and share with their children, nieces, nephews and all little loved ones as she consistently reflects on how future generations can learn from the experiences of those before them. Marsha Flemmings built a career in the hospitality and travel industry that spanned eighteen years. Though halfway into that career she was the first to admit that it wasn't her passion, she and those around her couldn't deny her strong inclination to help and serve others in pursuing their passion and attaining their goals. She led a record amount of her team to win top awards in the last half of her career and left a strong legacy in leadership.